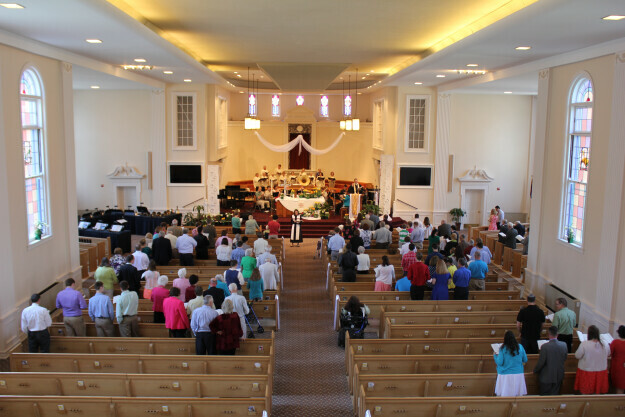 Traditional worship takes place in our sanctuary. We experience music sung by the Chancel Choir, sing hymns led by the pipe organ and often have guest instrumentalists, an orchestra, or handbells to enhance our worship experience. Each sermon in this service shares a message that is supplemented by imagery and liturgical art to engage both the heart and mind of our congregation.